Everyone has his opinion of how a portable miter saw table should look like. Here is my version of portable miter saw table with the features that I find helpful. You can set it permanently in your workshop or take it out to a job site. Although you can purchase saw stands, they are a bit expensive and honestly, most of them are not versatile as the following homemade version. The following miter saw table does not only support long board but also features a divider fence fitted stops that allow you to make cuts that are identical. The table also holds the miter saw in place so that it does not move bulge or move back or forward. Additionally we are also going to add cubbyholes that enable you to store the tools and little parts you need when working on a project. We know how hard it can be to work with a miter saw when outside your workshop. With this model you can simply toss it on a pickup truck whenever you want to work with the compound saw in the outdoor. Before starting to build anything, you should begin by measuring the width of the mounting holes of your miter saw. The next thing is to purchase hanger bolts that match wing nuts that have the similar size to the holes. This will enable a secure fit. To get the right length of the bolt, measure the saw table height and add 2.5 inches. Rip the plywood to get a 15.625 wide strip for the bottom and 16 inch for top part. Next is to cut 1x6s into 15.625( 6 pieces) long chunks. To do this you can make use of a table saw. However, if the table saw doesn't have the capability of ripping a piece that wide you can use a circular saw. 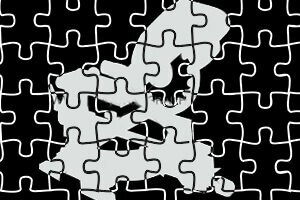 Similar to using a Jigsaw you can make a straight line with a circular saw provided that you mark the lead lines and stabilize the piece. These will be the dividers. Remember to put a 0.375-inch piece of plywood under the 1x6 piece as you mark. This will allow for the top thickness. After ripping one divider stand it adjacent to the saw and check its height using straightedge that rests on the saw table. Assembling the table is simple. You should begin by attaching the dividers and then screwing the runners to the table. The next step is to screw the back and top of the plywood. Lay the divider position. You will do this by starting from the right side of the saw where you will leave a space of 22 inches in length from the edge. The next step is to size the bay of the miter saw. You can do this by measuring the miter saw. To ensure that you have panned a bay that is broad enough to ensure that all the moving part of the saw do so freely, pivot the saw left and right. After this, beginning from the left side make sure that the other dividers are spaced evenly. Ensure that the dividers are attached to the base by screwing them in place now you can flip the assembly over and attaché the bottom to the 2 by 4 runners. Take note of the tables final height without the top and then cut the plywood pieces that fit the length. Attach them on the top and back of the divider. Start by clamping the saw in place. Next, Drill small holes, this will mark where you will place the hanger bolts. To do this, you need to clamp the saw at the bay. Make 0,125-inch drill holes to indicate where to place the hanger bolt. Take away the saw from the base, make lead holes and put the bolts in place. To drive in the bolts make use of arcon nuts at the machine thread top. Place the saw on the bolt and secure it with the wingnuts. Now place the extension in the alignment of the fence of the miter saw with use of a straightedge. Attach the fence that acts as the extension on top of the dividers. To do this simply cut 1x4s that has the identical length similar to the top left side. Then cut 4 triangle braces from the waste. While spacing the braces evenly, attach the 1x4s jointly and screw them to the braces. Use a straightedge that is aligned with the fence of the saw to make the alignment. After this attach the divider to the divider using screws. Although the fence will give you a useful railing for stop blocks especially when cutting pieces of equal length sometime you will find it better to have it removed since the boars are straight rarely. Additionally, when cutting longboard that leans towards you it prevents the board from fitting against the saw fence. This means that it will prevent you from making a perfect square cut. To avoid this do not use it for daily tasks and use it only when needed. Similar to a Sawzall table that enables you to use your reciprocating saw with ease, this miter saw table will make it easier to use the miter saw. Additionally, this homemade portable miter saw table will give you the convenience needed during outdoor activities. You can also use it in your workshop. 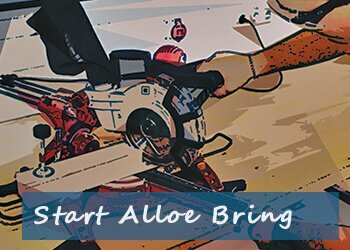 Everything You Should Know About Woodworking Routers! Wood routers are said to be the most integral part of woodworking but what does a wood router do? What exactly is the purpose of this tool and what are the things you can do with it? Take note that cabinets and other wooden furniture are not just made by simply assembling their parts or pieces together. They are not like plastic materials that are made with molds and something you can reproduce in short period of time. All wooden furniture is almost made to perfection and they are built with impressive amount of craftsmanship. The skills, however, are not enough without the proper tools to help them build the project. Routers as what the term implies are tools used to rout out or hollow out an area in a piece of wood. Wood routers are actually multi-purpose tools as they are built more than just to cut fancy edges but with a wide range of functions. They are commonly used for plunging and also used to make joints and also to cut off those complex designs and patterns seamlessly. The function of the router depends on what type or style of router you are using. Straight Edge Routers, as what the term connotes, is a type of router that can be used to create perfect straight cuts. Plunge Routers are used to hollow out special designs that cannot be achieved by simple hand saw or other related cutting tools. Specialized Router Tables invert the routers for steady cuts. If you are skillful enough, you can actually create and improvise your own router table. Some will even utilize their old furniture and transform them to the best cabinet table saw​​​​​ packed with amazing storage and spacious surface to work with. 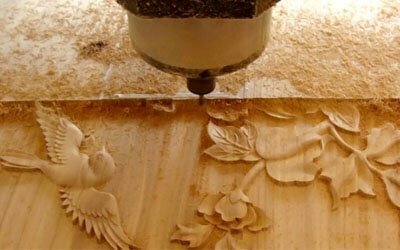 Bits are placed on the spinning routers to cut and carve holes and they come up with a wide variety of shapes, allowing woodworkers to create various wood patterns. Straight Bits are used to create perfect and seamless dadoes and rabbets. Roundover Bits are used to transform sharp edges to perfectly smooth curves with no ease. A little more about wood router bit. So how does a wood router work? On a technical side, modern routers are now powered by electric motor. The original form of routers is basically a hand tool and mostly improvised which is commonly referred now as the poor man’s router. The electric motor driven routers, however, cannot serve their functions without the cutting tools that you need to install. These cutting tools are better known as router bits. They come up with variety of designs which can produce different patterns. Once turned on, the bits will spin in great speed allowing you to shape the wood based on your preferred pattern and style. Routers can also be fixed on a table or you can also connect them with radial arms so controlling them could be more manageable. What Can You Do with the Router? 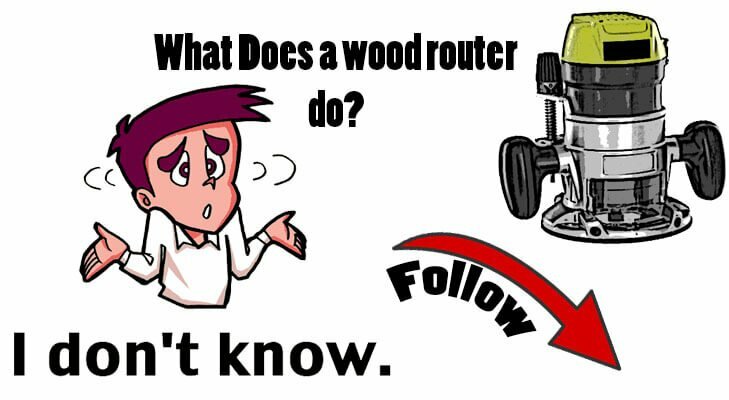 Now that you finally know the basics of wood routers and how they work, the exploring part may now take place. Routers are very versatile tools and a worker can come up with so many ideas on how to effectively use routers. Basically, routers are ideal tool for almost any woodwork especially for cabinets. 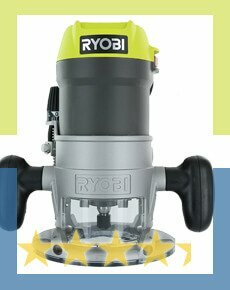 The routers can flawlessly cut grooves and rebates and it can also profile edges based on the router bits you used. They can cut inlays to give your project an interesting character and personality. In addition to that, plunging routers can drill clean holes while router tables can recess clean hinges without the need of manual chiseling. If you managed to pair the best wood router with other effective tools in woodworking including the best miter saw and other woodcutting machines, the possibilities of creating interesting projects are seemingly endless. 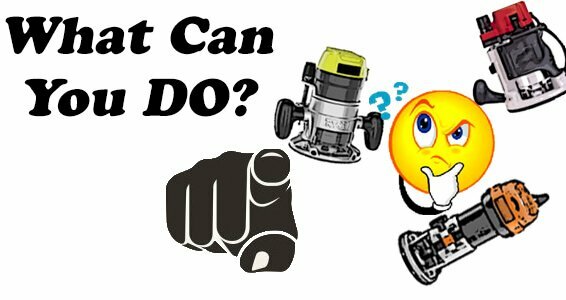 Once you have mastered the basic wood router functions, you can now look for other possibilities by user the router with other machines! Precision Joinery Machines like WoodRat for an instance can be used with routers to make jointed boxes. If skillful enough, you can also make an improvised router jigs that can help you cut perfect circles and other shapes. Routers are not just limited for cabinet making but they can also be used effectively for carving. With machines like Duplicarver, you can perfectly imitate a certain sculpture without the need of extensive artistic skills. There’s an endless possibilities you can do with the routers and you just need to be creative and skillful to execute them all amazingly. Now that you know that the amount of things you can do with routers are simply overwhelming, the question now is what kind of router do you actually need? Picking the best and suitable router for you is not different from how you pick other materials on the market. Let’s say, I’m looking for the best framing nailer online, I will definitely pick something that I could get huge benefit in return (picking an item with trusted brand for an instance is one thing I will take us top priority). There are many factors to consider when choosing the right router including the quality of the product, the budget, the durability, handling and other important features. 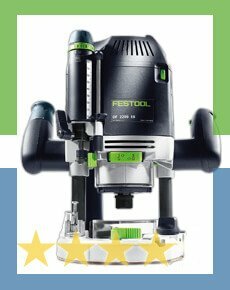 It is always advisable to look for reliable wood router review sites which allow you to compare routers based on their cut quality, designs, accuracy, price and motor power. Some sites will even provide you honest reviews including the pros and cons of buying the product. Consider all these factors and you’re ready! Go take your woodworking skills to another milestone! Good luck! Hope, how to use a miter saw won’t be a big question to you after patiently reading the whole phase of the writings. Wish you a good luck. Do you see those wooden crafts that you saw in the mall? A masterpiece, isn’t it? It makes you wonder how those wooden structures become like that. How much time do crafters need to consume just to create such masterpiece? What are the materials that the crafter used in order to have that kind of output? How was it made? 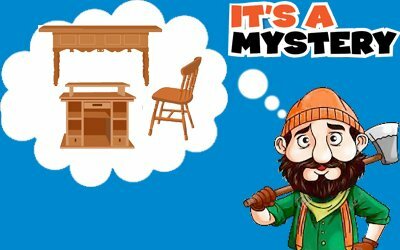 These are the questions that keep on circulating in your mind whenever you see those kinds of wooden structures. Since it is already the 21st century, there’re many tools that are produced in order to make our craftsmanship easier and accurate. Thanks to advanced technology, mankind has successfully produced a tool that will make the craftsman’s cuts accurate: the miter saw. The miter saw is a saw that’s used in order to make accurate crosscuts and miters in a more efficient way. 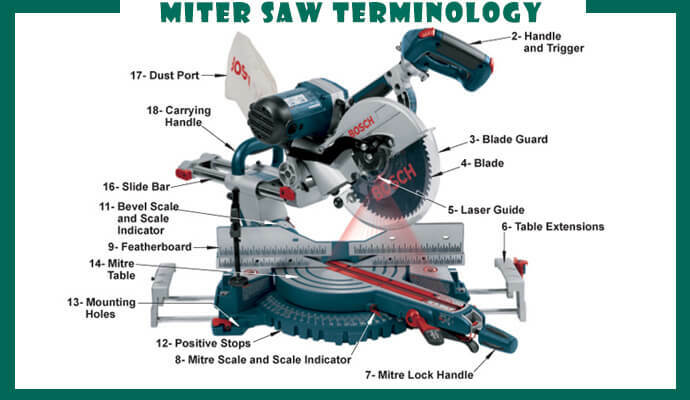 What is a miter saw used for? Well, it is used to have accurate crosscuts along the plane of the workpiece. 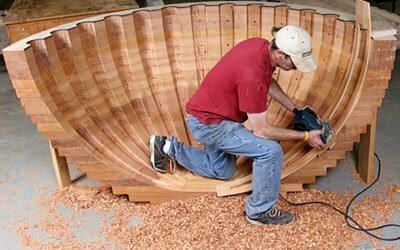 The common uses for a miter saw include framing operations, cutting of molding, and trim. This is how a miter saw cut. These kinds of saws are usually small and portable and the size of its blade ranges from 8 to 12 inches. The miter saws were introduced during the 1970’s as specialized saws that perform crosscuts but has a limited width of the cut. During these times, the craftsman can make the saw table pivot so that the miter saw will cut the miters in one plane. 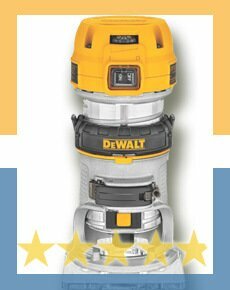 But it is more popular belief that Ed Niehaus, an American CEO, and publicist designed the first power miter saw in 1964. The angle of the cut and the thickness of the wood will determine where the saw blade contact the workpiece. When you mark the board, kindly extend the line across the stock and drop the blade on the wood to check the alignment, you can also adjust the board if necessary. Rest more than half of the board’s length on the saw if you’re cutting the board. If the board is too long, only stack a few scraps next to the blade in order to support the long board. You can also mount your saw on a saw stand that has supports in order to have an accurate cut. 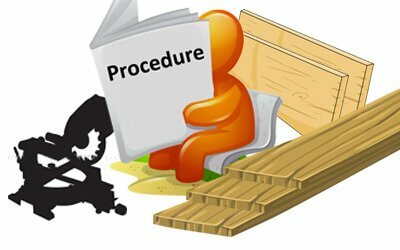 Place the board against the fence at the back of the saw base and hold it with your hands or a clamp in at least 6 inches away from the saw blade. Always keep your hand on the saw handle as you move your arms straight and your feet firmly planted on the ground. Don’t even dare to cross your arms when using the saw. The important part in how to use the miter saw step by step because we’re talking about your safety. Start the saw at the top of the board. Allow the tool’s motor to come up to speed. Bring the saw down into the board. 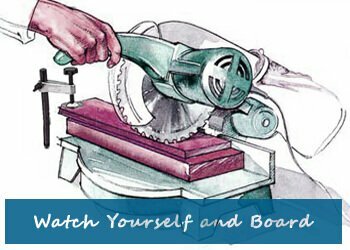 Make sure that you release the trigger when you successfully cut the board and wait for the rotation of the blade to stop before raising it. 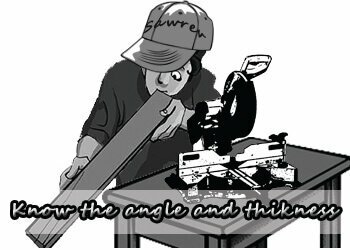 This is how to use miter saw step by step, please do remember in order to have a precise and accurate cut without any injuries. Other than that, let’s now go to the Compound Miter Saw vs Sliding Miter saw section. This section will show you the difference between the compound and sliding miter saw. There are many types of miter saw that has different features such as the compound miter saw. A compound miter saw provides a rotating blade that creates angle cuts in dual planes both vertically and horizontally. One of the qualities of the best compound miter saw is having an arrangement of rotating the angle of the circular blade to the horizontal plane. This type of miter saw is mostly used in making bevel cuts easily. There are many compound miter saws that have a laser guide in order to locate the cutting point before cutting. The sliding miter saw has a vertical pivot that rotates in order to tilt the blade both horizontally and vertically and also sliding arms that make wider cuts but unfortunately, this saw can’t be able to do long rip cuts. 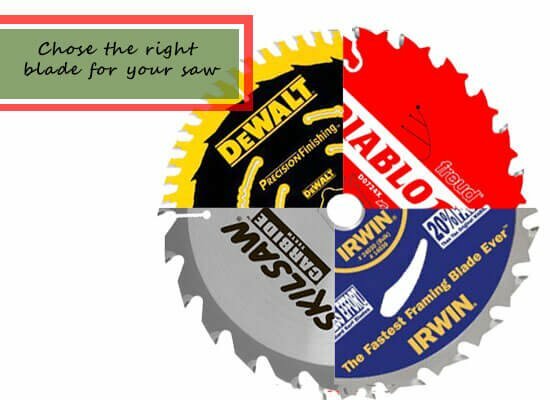 Both saws have its own flaws and perfections, and it is clear to say that this fight has no winner because the compound miter saw can do LONG cuts while the sliding miter saw can do WIDE cuts which are the reason why this comparison section has no winner. Since you know how to operate a miter saw, you can now have accurate cuts on that board! Make sure to watch yourself closely in order to avoid any issues! 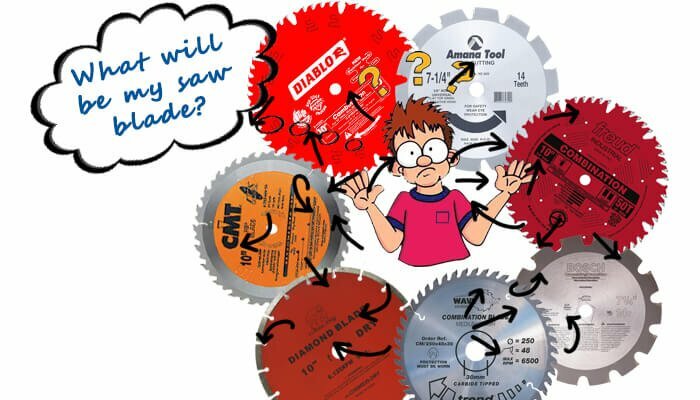 Contrary to popular belief, your circular saw blade is not fit to be used for all materials and jobs. They are designed specially to suit certain job profiles. 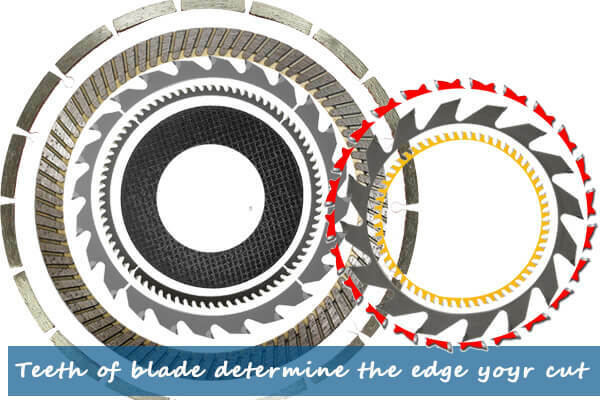 All-purpose blades are available in the market, but they are unable to deliver results as fine as those by specialized blades are. In such a scenario, being aware of certain fundamental information may help you make the right choice. The specialized ones are a good investment as they deliver the best results possible for a job that they are meant for. They also help reduce downtime by increasing the efficiency of each cut. Here are some of the frequently used and easily available blade types. These are meant for cutting wood, against the grain. They are also meant to be used on wood but in the direction of the grain. Do remember to not use them when working with plywood. by eliminating the need for frequent changes. They are designed with hard metals to cut easily through other hard metals in turn. These should be used when wood with nails or similar objects need to be cut. You can use them for masonry projects. They also work well with metals. It works best on hard and brittle materials like masonry and tiles. For projects that need a very fine finish to the cuts, the ideal choice of the blade should be a fine-tooth finish blade. Use them for flooring projects as well as for cutting veneer, laminates, plywood, and other similar light- gauge materials. They are ideal making groove cuts in the wood; However, they ought to be used only in the radial arm and table saws. The teeth of a blade are the secret to its performance and are optimized for performing specific functions. A blade with more number of teeth will be capable of making finer and cleaner cuts than one with lesser teeth. The latter can be desirable for projects that require quick removal of material, without clogging either the wood or the blade. It is especially useful in projects where lengthwise cuts need to be made. The angle at which the teeth are positioned also determines their performance. They can be positive, negative or neutral. An acute positive angle is good for removing material faster and making quicker cuts. However, it causes a lot of tears out. A negatively angled blade is the exact opposite. Remember, the choice of the blade depends entirely on your project type. It is important to assess your project needs beforehand and equipped with this information, you should be able to pick just the right blade for yourself. Circular saw is a powerful and versatile tool that can contribute immensely to your workshop. Therefore circular saw blade is also necessary for a woodworker. They can face tough flack from hard metals and rough surfaces without losing a tooth. However, it is important that they be properly cared for and maintained to increase the longevity of the blade edge and the quality of the metal so that they can withstand tough tasks and do not succumb to weakness. Following a proper, regular cleaning routine can help you do just that. However, that may not always be enough. 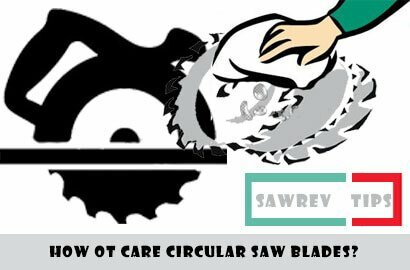 Here are some things you should keep in mind to make sure that you take excellent care of your circular saw blades. This goes without saying. 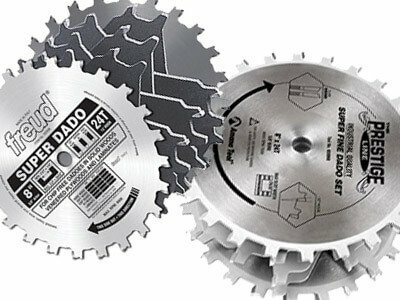 Circular saw blades are designed differently to suit different jobs and materials. Using a blade on a surface that it is not meant for, can damage its teeth and even render it unusable. Storage is an essential requisite to maintain the quality of blades. 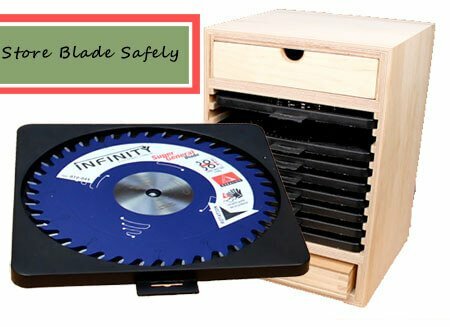 Circular saw blades should be stored such that they do not bump into each other or any other surface. This will prevent them from getting scratched or dented. Moisture is the worst enemy of your circular saw blades. It can cause them to rust or pit, deteriorating their performance and eventually making them unusable. 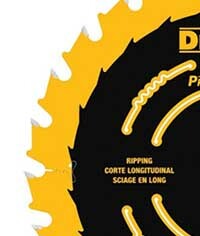 An increased presence of moisture can reduce the shelf life of your saw blade and you wouldn’t really want that. To prevent a thermal crack in the carbide surface of the blade, avoid using it in high temperatures that can be caused by the blade being used too low on hard or rough wood. This can even cause fragments to fly out due to the crack and pose an imminent health hazard. Use a nylon or brass brush along with some WD-40, ammonia or Formula 409 cleaner to clean your circular saw blades. 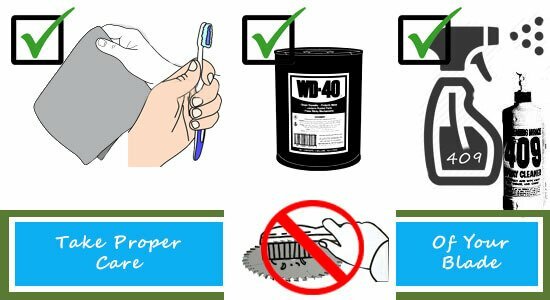 Avoid using wire brushes. This shall exponentially increase the life of your blades. lest it should compromise the quality of the blade by blunting the edge. 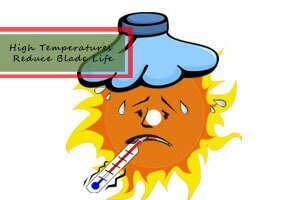 Working with a blunt blade is not only tougher but also it generates a lot of heat, which is harmful to the health of the blade as is aforementioned. 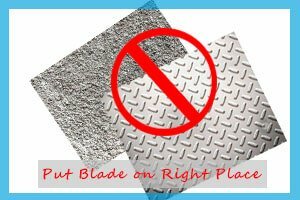 When setting your blade down before or after a job make sure that it is not a cement or metal surface that you keep your blade on. This is because metal to metal or metal to cement contact chips away the top grind of the blade, which is essential for its sharpness. 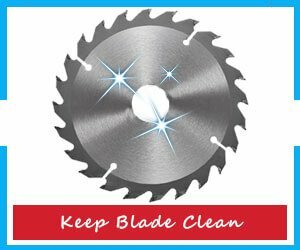 If you need to set your blade down, make sure that it is in a clean plastic or wood surface. 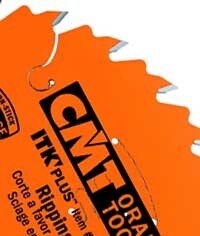 Keep in mind these simple rules and your circular saw blades should be able to serve you a long, happy tenure of work.